Marillion frontman Steve Hogarth promised that the setlist for the Birmingham Symphony Hall show would include ''a broad sweep of the band's last 30 years''. But there was more. The gig began with the five-part El Dorado from latest album FEAR – and concluded with a riotous encore of the band's first single, Market Square Heroes (1982), and Garden Party, one of the stand-out tracks from debut album, Script for a Jester's Tear. Of course, it was former vocalist Fish who introduced those early tracks to the world but Hogarth, who joined Marillion in 1989, made those songs his own, with fans literally dancing in the aisles at the end. It was a hugely impressive show; the band seemed to have thrown in everything bar the kitchen sink to ensure an unforgettable experience for all. The visuals projected onto a rear screen complemented the songs, the lighting was arena-quality, the sound impeccable and the band members were on top form. It must have been gratifying for them that the new material from FEAR – in addition to El Dorado, they played the five-part song suite The Leavers and the single Living in Fear – received such a magnificent reception. The audience was well acquainted with the tracks. As Hogarth was preparing to move on to the next song after Living in Fear, the audience continued to sing the refrain, persuading the vocalist to return to his keyboards and perform a few more bars. ''What a great Saturday night atmosphere,'' he said. Steve Hogarth may command the stage but Marillion is very much a band. The backline of drummer Ian Mosley and keyboardist Mark Kelly was solid, with Kelly's contribution particularly noticeable on El Dorado V: The Grandchildren of Apes. To Hogarth's left was bassist Pete Trewavas, making occasional forays centre-stage and, during Quartz, offering bass licks that could be described as some as 'funky'. Stage right was long-serving guitarist Steve Rothery. He didn't move much but Marillion wouldn't be Marillion without his soaring riffs and stylish solos. At the end, he had a huge smile on his face. He could have been recalling the standing ovation after The Leavers which includes the line ''We all come together tonight''. They'd certainly achieved that – mission accomplished. 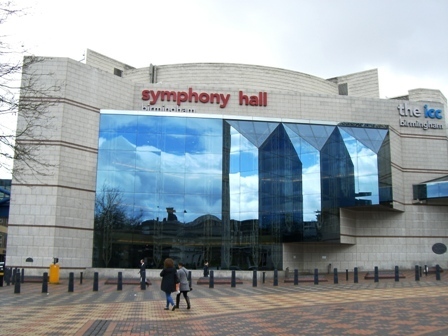 April 20: Liverpool Philharmonic Hall.